Rachael Anderson may be one of the best Historical Romance authors of our time. Her stories are WONDERFUL. 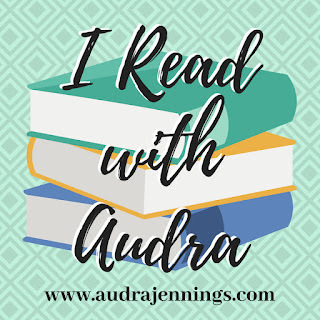 I put on hold my entire review schedule when the latest Regency-era novel by Anderson releases. If you have not yet read any of her historical romances, I implore you to purchase her books immediately! My Brother’s Bride is a fast-paced, highly-engaging, endearing story that left this reader smiling big time. I very much appreciated the relationship between Abby and Brigston, and enjoyed the sense of humor they have with one another. A sense of humor in any relationship is imperative. Life on this earth is filled with so much pain that you need laughter to balance the scales. Within a relatively short period of time, Abby experiences some serious hurts, let downs, devastations, and disappointments, but she doesn’t let these moments drag her down. Instead of pushing her hurts down deep, Abby bravely expresses how she feels to Brigston during her rough moments. This in turn allows Brigston to share his true feelings, and a fantastic relationship blooms between the two filled with many moments that had me chuckling. Early on in this story, someone important to Abby and Brigston dies. In polite society, the practice is to keep true feelings bottled up. One does not talk about certain things like the death of a loved one. But what if talking is what one needs to heal? One of the characteristics I love so much about Abby is that she politely goes against polite society in certain ways. Not talking about her loss seems rather silly. At first, Brigston is slightly shocked that Abby would be so free with her feelings, but then realizes how cathartic it is to talk about their shared loss. It turns out that talking about, rather than bottling up, the feelings leads to healing. Personally, I prefer to remember the good times, to reminisce and laugh. My final favorite thing about My Brother’s Bride is its message on hope. We need to never stop hoping for good days, fun days, dreams-to-be-realized days. Life is full of disappointing moments that push us around and kick us when we are down, but we can’t give up our hope. And, we need to remember not to take the good for granted. The good moments in life act as balm to our souls so we can get through the bad times. My Brother’s Bride is another fantastic historical romance by Rachael Anderson. If you need a lovely and engaging Regency-era story to escape into this winter, I highly recommend My Brother’s Bride! I received a review copy of this novel in eBook form from the author via Kathy at I Am A Reader. In no way has this influenced my review. The opinions expressed in this review are my own. Thank you, Becca. And, I totally understand the full-schedule issue. I’m trying so hard to take mine a bit. Thank you for your review on “MY BROTHER’S BRIDE” and for being part of the book tour. Beautiful cover! The book sounds amazing and I’ve put it on my TBR list. I hope you can get to this book soon, Kay. It’s a good one! I love books set in the Regency period. I’m adding this series to my TBR list! I enjoyed reading your wonderful review! This book sounds really good!! I need to make a point to carve out some time to read this series!! Thank you, Trisha! I think you would like Rachael’s books.